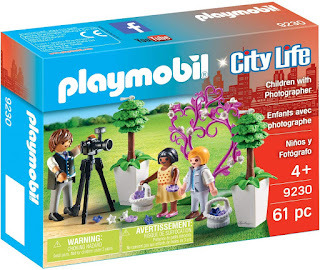 Amazon has the PLAYMOBIL Children with Photographer building kit on sale for just $4.53, down from $9.99. This is an add on item and will ship with a qualifying purchase of $25. Watch as the flower children and photographer take the perfect picture. As they prepare to walk down the aisle, the flower children stand in front of the floral backdrop and the photographer captures it all. Set includes three figures, camera, tripod, flowers, baskets, shrubs, and other accessories.